This article is devised to give a way of running the jobs on demand irrespective of scheduled process. This is very useful in such a case when there is no fixed time for data processing. Incoming data can come anytime and at the same time, system should run the job for data processing. To achieve this, many times we schedule our jobs to run at every half an hour/ 10 mins/ 15 mins etc which in turn wastage of system resources. We can control unnecessary execution of job by using Seed file that tells to Job whether it has to start execution or not. How to control the execution of jobs using Seed file? 1. To control the execution of jobs, we need an additional step that should be the first step of the job which should check whether seed file is available in the source folder or not. 2. If seed file is available then job should go to next step and execute as expected and at last step, Job should delete the seed file. 3. If seed file is not available in the source folder then Job should by pass the steps and should quit with reporting success. 1. 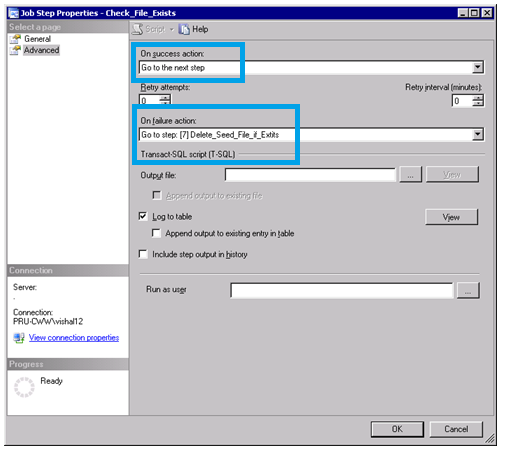 Create first step of the job for checking whether file is exists or not. 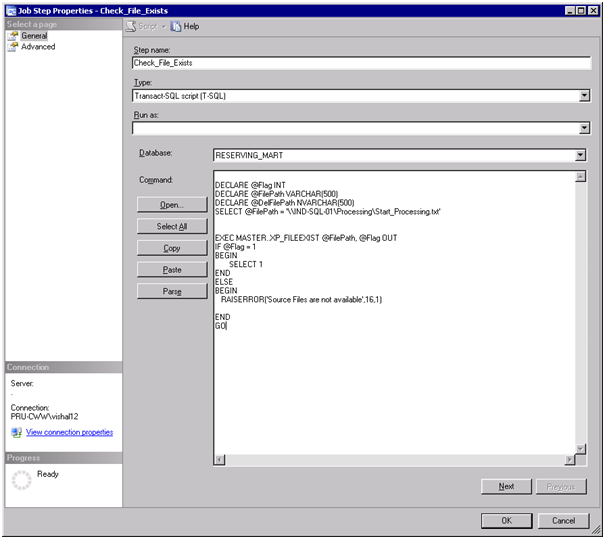 For checking file existence and Deletion, we are using XP_FILEEXIST and XP_CMDSHELL extended stored procedures. Below is the code which checks whether file is exists or not. b. On Failure: Go to Last Step. 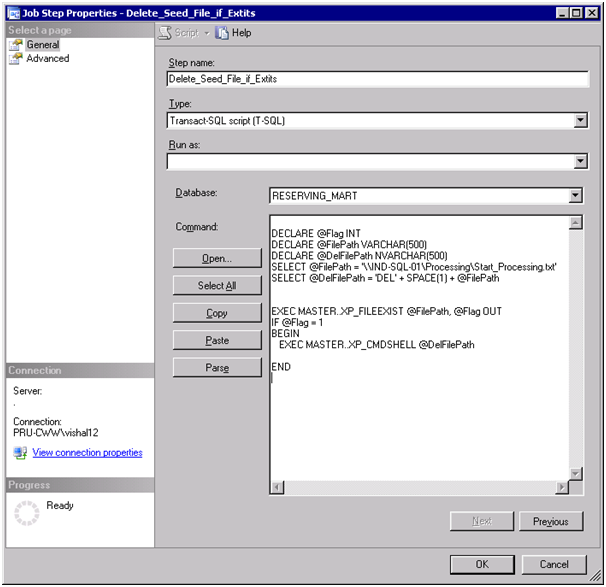 In this way, we can bypass the processing steps if seed file is not available and we can save unnecessary utilization of system resources required for execution of the job. 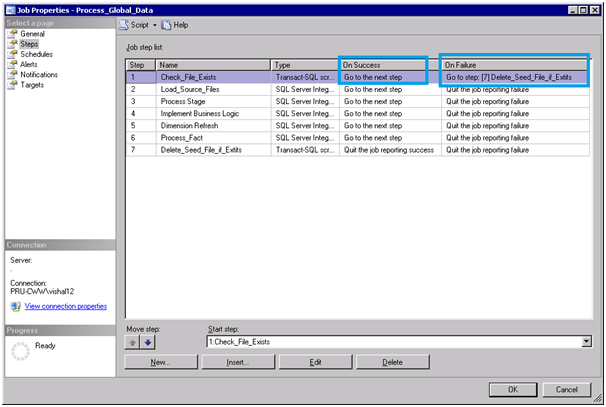 By using the above mentioned steps, we can implement on demand job execution functionality. Hi Vishal Jharwade, This is just to let you know that how good you are writing. I read all your articles, all are nicely explained & having information which we can never get from anywhere except sqlcircuit.com. I love all your articles & request to keep writing the post. Thanks you for sharing the unique content. Wonderful Post..Thanks for sharing your informative article..
You have explained very exacty what has done very simply in this blog.